Dr. Craig Stewart leads the Research Technologies division of University Information Technology Services (UITS), which serves Indiana University's (IU) research and scholarship missions through computation, storage, and visualization facilities and support. Stewart is also executive director of the Pervasive Technology Institute (PTI), IU's flagship initiative for advanced IT research, development, and delivery in support of research, scholarship, and artistic performances. He is particularly involved in leading cyberinfrastructure services affiliated with PTI, and its activities in economic development, training, education, and outreach. 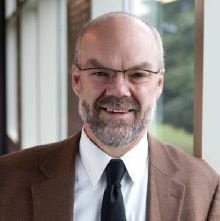 Stewart has also led in the development of cyberinfrastructure at the national level, recently completing an appointment at the National Science Foundation as the manager of Campus Bridging for XSEDE. Sponsored by VT EPSCoR with funding from NSF EPS#1101317. Questions? email epscor@uvm.edu or call 656-7931.